Sunshine after a snowstorm is one of my favorite things. The houses look like they were purposely nestled in the snow by an artist who wanted to paint them just so. Makes me wish I were a painter, but for now, I'll just be an appreciate-r.
We all complain about winter, but really, it is just so lovely. So, so lovely. Everything covered with fresh white powder, cheery blushed cheeks and rosy noses, and a blast of crisp air to help us feel alive and young. We have to seek all of that beauty in winter, because if we don't, our hearts will get buried under the salt and road grime, the coughs and colds, and the cancelled plans from snowfalls. I know plenty about all of those things, too. I hope that next time you're buried under 10.5 inches of snow like we are (and will be time and time again, I'm sure! ), you'll make some homemade dumplings, bake some cookies, and wait for the sun to come out again. It always does. 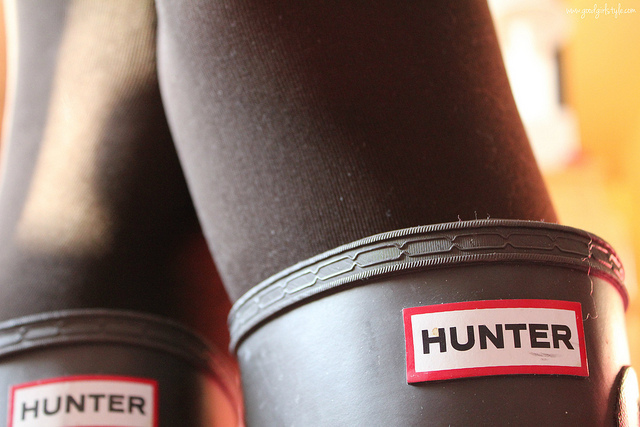 Crossed Hunter boots in the beautiful sunshine. 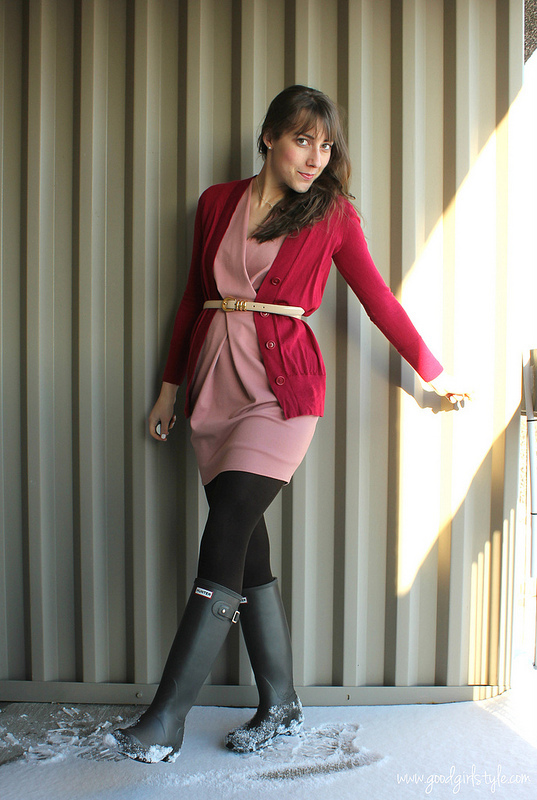 Blush Pink Dress, Creamy Belt, and Raspberry Sweater. One of my sweet friends sent me this lovely little package! Isn't it happy? 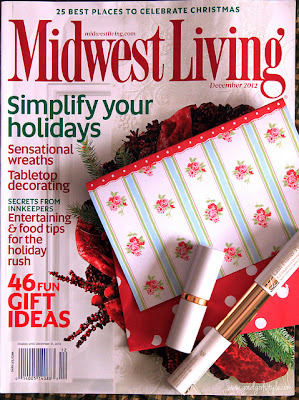 I adore the Cath Kidston note, and it was fun to see Midwest Living again. 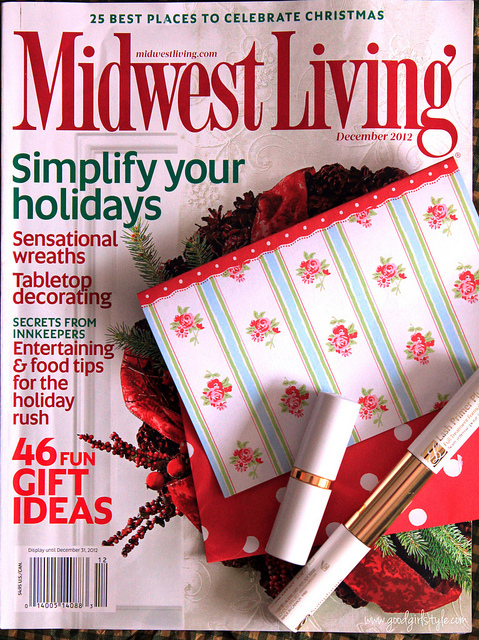 This was one of my favorite magazines during my previous Midwestern years, so it will be back in my reading rotation. She also sent me this fun Estee Lauder lipstick. 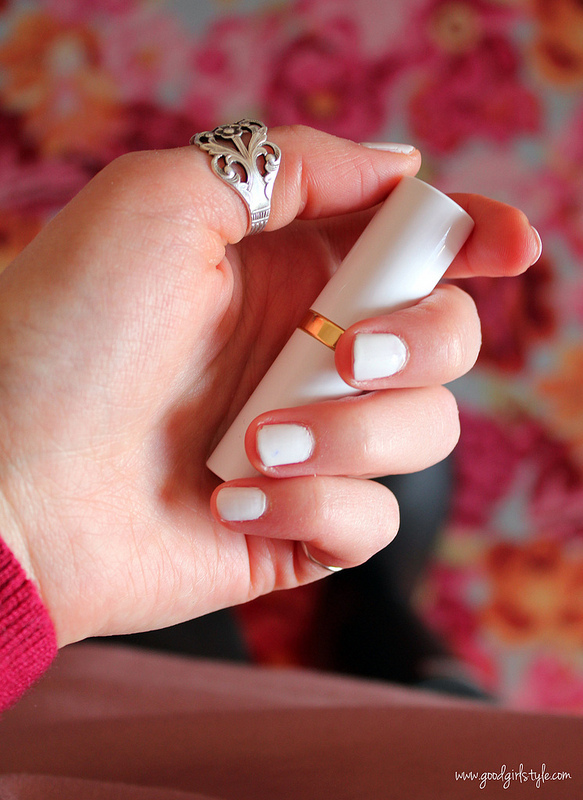 I love its modern white and gold packaging, which happened to match my white nail polish! 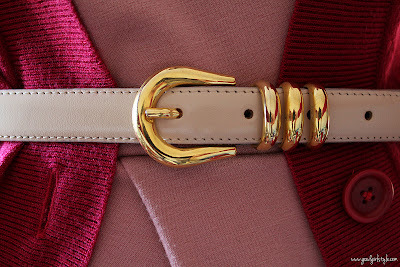 Have you noticed that matching makes me happy?! You look lovely Natalie and so adorable wearing your Wellingtons in the snow, I feel like pulling my Wellingtons on and joining you. I love your Outfit sweetheart, it's always good to see you wearing your Wellies, I wear Wellies a lot and I feel we are soul mates. I've never painted my nails white! does it look good?